Yes! 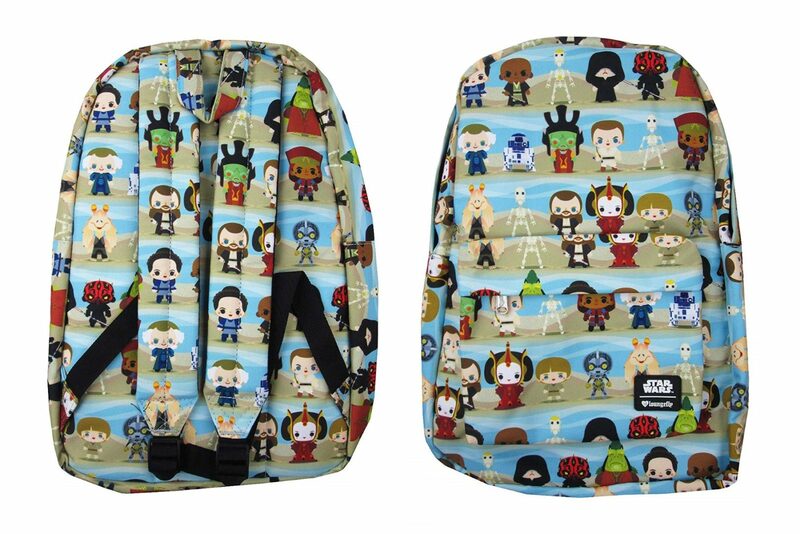 The Loungefly x Star Wars The Phantom Menace chibi print backpack is now available on Amazon! 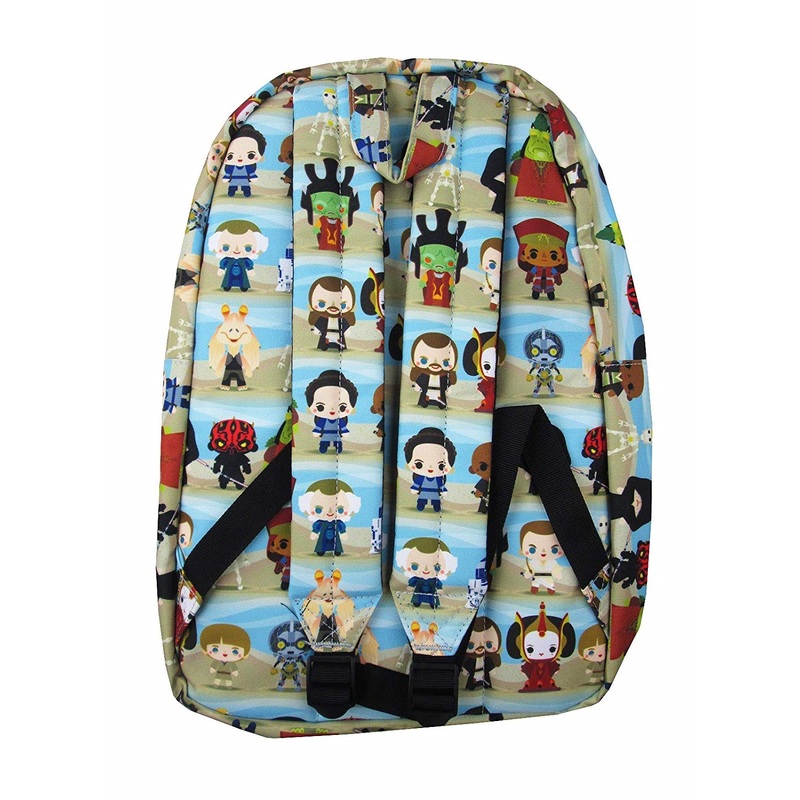 The printed nylon backpack features a repeating print of characters from The Phantom Menace, drawn in a cute chibi style. 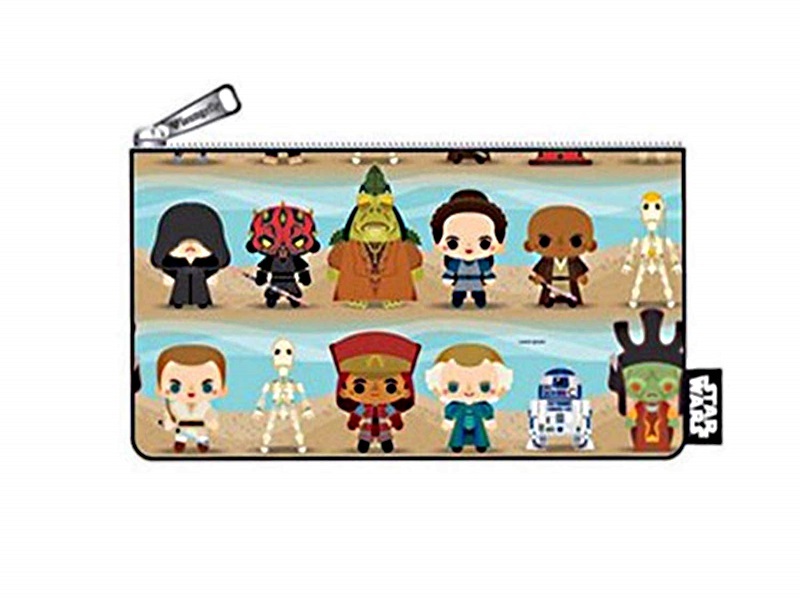 The design includes characters like queen Amidala, Senator Palpatine, Jar Jar Binks, Darth Maul, Qui-Gon Jinn, Nute Gunray, Captain Panaka, and Anakin Skywalker! It is so rare to find Star Wars fashion with Episode 1 characters – I just love this artwork! 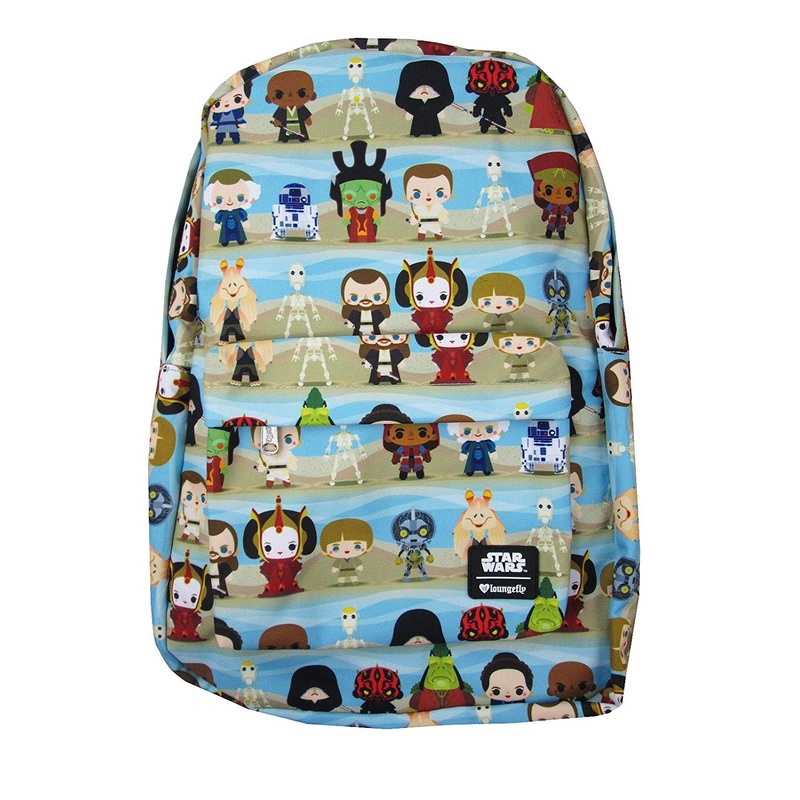 The backpack is priced at US$40.00 each, and the coin bag is priced at US$12.99 each – shipping rates/polices vary by Amazon seller (international customers can order via US mail forwarding services).